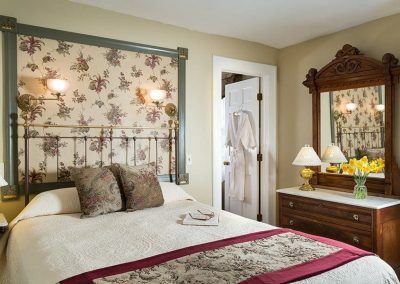 The Queen Victoria is proud of all it’s rooms & suites. 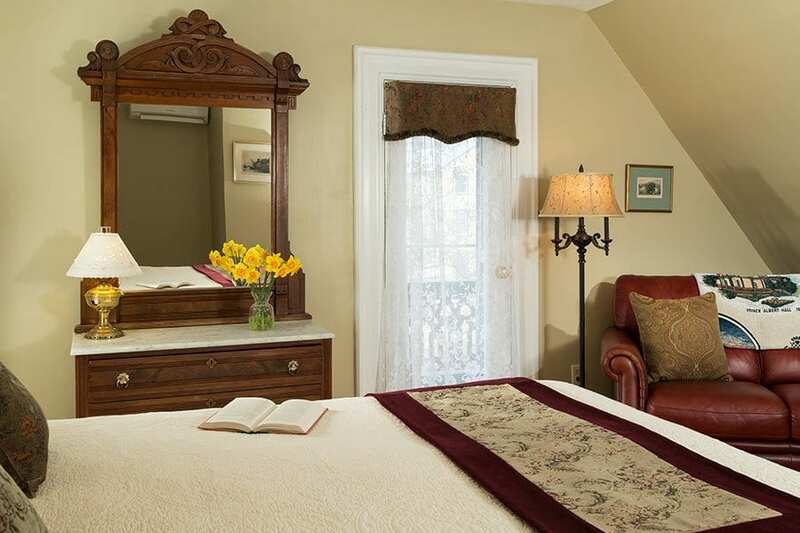 Chelsea is a bright, charming, large premium room located on the third floor of our Prince Albert Hall building. 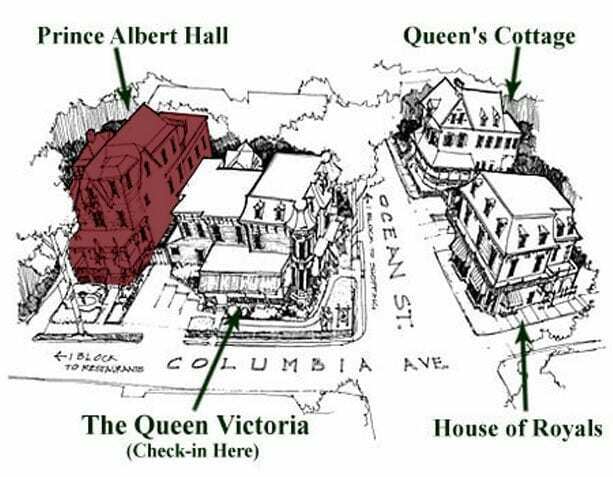 Chelsea has an original “widow’s walk” porch, a perfect vantage point to catch a glimpse of the ocean or see what the coming day might bring. 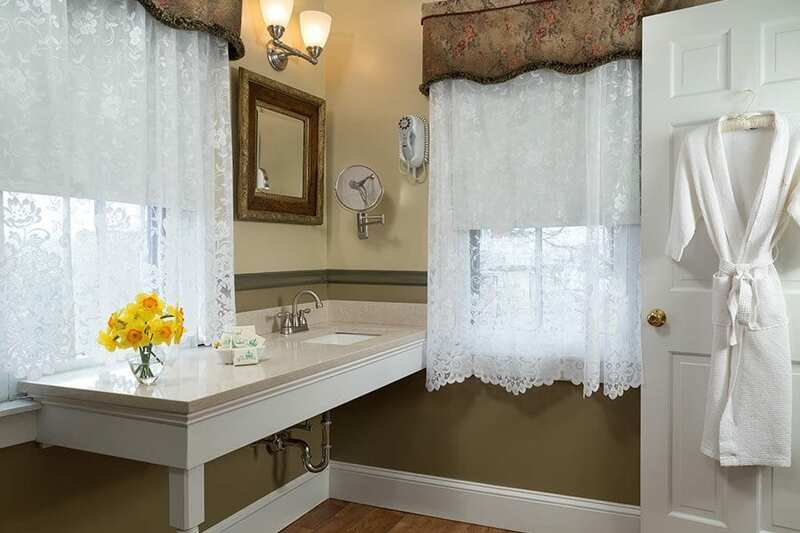 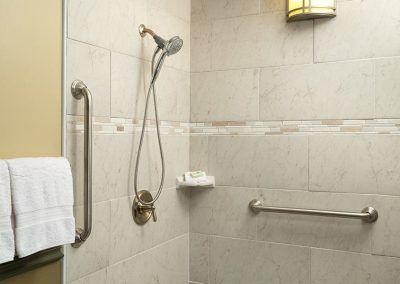 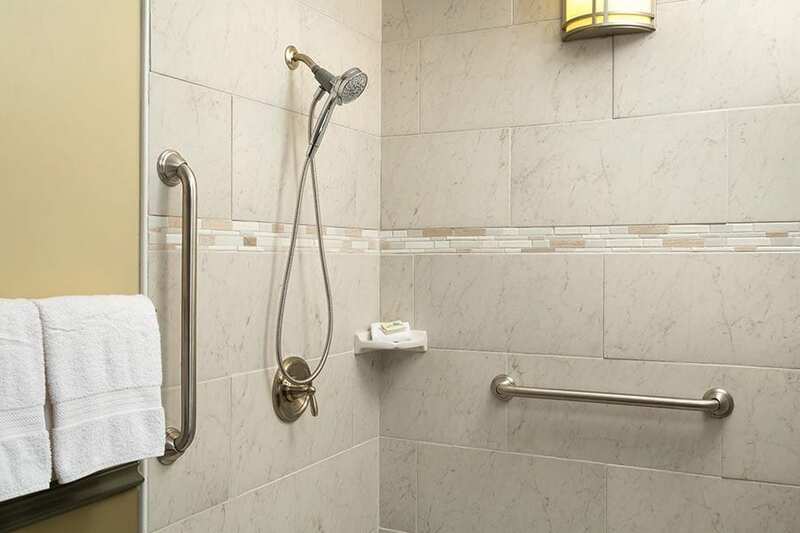 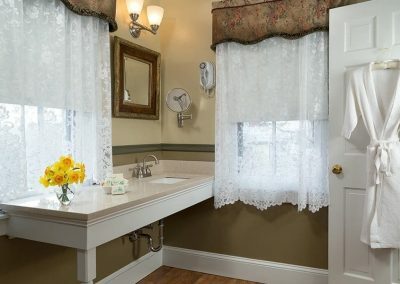 Chelsea’s large bathroom features a step-in shower, a wonderful quartz vanity top with loads of set-down space for your toiletries, and two windows that stream in the morning sun. Individual climate control (heat & air conditioning), a refrigerator, a TV with a DVD player, a hair dryer and an iron are provided for your comfort & convenience. 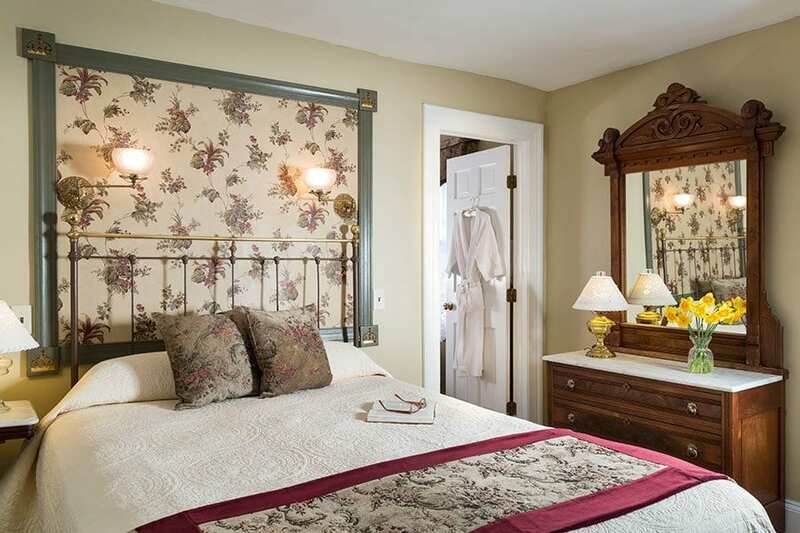 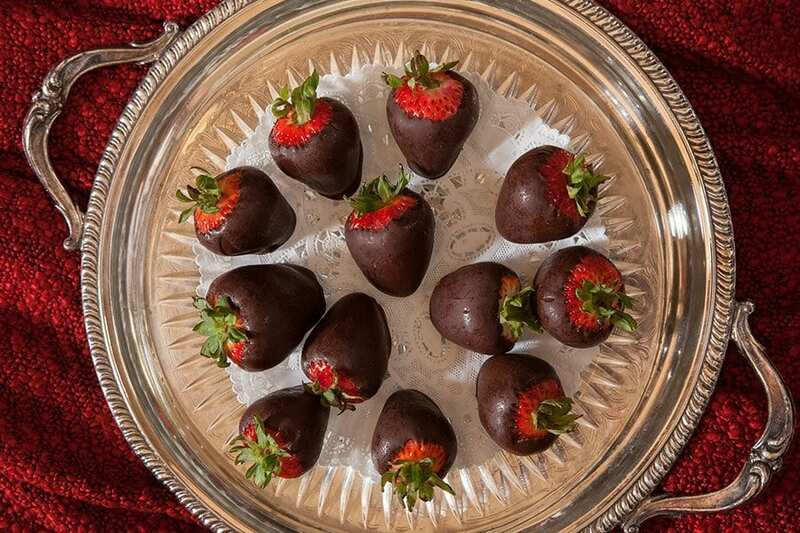 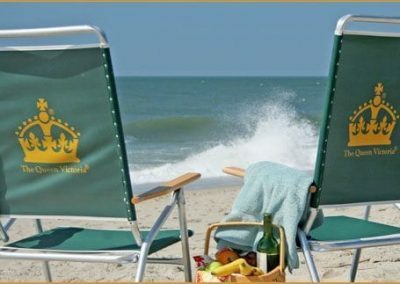 Make your reservation online to stay at one of the most relaxing Cape May bed & breakfasts.